Over the years working as a Realtor I have seen numerous home buyers as well as other Realtor’s try to use dollars per square foot as a good measuring stick for market values. Sorry folks but that is a very poor way to analyze value. There are a number of reasons why this is the case but lets just start with individual homes themselves. If you look carefully at housing characteristics you can basically break down a home into one of four categories. Economy~ Economy would be characterized as building a home in the most cost efficient manner. The materials used in constructing a home in this category more often than not will be cheaper than other categories of homes. The goal is to deliver a home that would be affordable to those buyers on a lower income. If you looked in a catalog of materials such as cabinets, flooring, lighting and plumbing fixtures you would see the lowest grade used in this category. Standard – A home built under this category would be a step up from an economy home. A large percentage of homes would come under this category. You would expect to see the quality of the home jump from an economically built home. With a standard built home you may see some construction items that could also be found in both economy and custom categories. Custom – In a custom built home you are bound to see things that you will not find in either an economy or standard home. The quality of the materials used to construct the home as well as the amenities inside are going to be different. As an example you may see a higher level of finish woodworking, cabinetry, flooring selections and hot buttons like granite counter tops and stainless steel appliances. Custom homes are more unique and may have other architectural characteristics that make them more expensive to build such as intricate roof lines and higher end materials used on the facade such as stone or brick. Luxury – A luxury home is the best of the best. These are the homes that are built with the highest grade construction materials. There is no expense spared on anything and the amenities seen inside the home are sometimes enough to make your mouth drop! It is not unusual to see such things as home theaters that rival going to the movies, indoor swimming pools, wine rooms and other such amenities. Of course it is possible for a home to fall somewhere between each of these categories but the four categories are enough to show you why using price per square foot to determine a homes value is a very poor measuring stick. Lets look at a quick example of two homes that are both 3000 square feet. They are both a year old. How about a quick guess of which home is going to be worth more on a dollars per square foot basis? This example clearly shows that you can not take the average price per-square-foot and multiply it times the square footage of the home you are thinking about buying. There are far too many variables involved with the characteristics of a home to make a generalization like that. It just doesn’t work that way. The pricing per-square-foot simply gives you average or median ranges; it shows you trends in the market. It does not compute value! Want to view an even more detailed post that shows you why price per square foot in not an accurate way to value a home? This article not only touches on how homes are very different from one another but it also goes into an in-depth discussion of how much location can impact the price of a home. The comparison above only touches on one reason why cost per square foot is a poor indicator. There are others including the fact that prices per-square-foot can vary based on the homes location, improvements, condition, age and updates, including lot sizes, and whether it’s a one-story, two story or split-level home, among other things. This article analyzes all of these things in an easy to understand way. Is it any wonder why those who try to use price per square foot get their home price completely wrong? Going back to the above example, I think it is easy to see that if home “A” was also located in the best part of town and home “B” was not, the disparity of the selling price is going to be even greater which would change the price per square foot between the two homes. One of the best reasons for even looking at the price per square foot of a home is to see what the trends are in an area. You can look at the average price per square foot over a given time period and see whether overall market are values going up or down. The only time price per square foot can be useful is when all the homes are completely uniform. Of course this does not happen all that often! Typically you would see this in a neighborhood where all the homes were built by the same builder and have very similar amenities. This does not happen on a regular basis. In Massachusetts one of the other factors that can really skew the averages on the price per square foot of a home is how the square footage is actually calculated. In the Greater Boston MLS there is a big disparity on what agents include in the gross living area of a home. You will see that some homes include finished basement space and others do not. This can cause quite a fluctuation in how these figures appear when doing an analysis on square footage value. As you may realize, finished space below grade is far less valuable than above grade living area. When these figures are mixed together it makes a straight line comparison much more difficult. About the author: The above Real Estate information on price per square foot is misleading for Real Estate values was provided by Bill Gassett, a Nationally recognized leader in his field. Bill can be reached via email at billgassett@remaxexec.com or by phone at 508-435-5356. Bill has helped people move in and out of many Metrowest towns for the last 28+ years. Great article Bill. I often use a much shorter, purely mathematical explanation. Let’s say you are comparing two structures, one 10’x10′ – 100SF and another one 20’x20′ -400SF. While the area of the second structure is 4 times as much as the first, it does not cost 4 times as much to build. Because the perimeter of the second structure is only twice as long – 80F as the first structure – 40FT. Now, with everything else being equal, if you add a feature worth $20K to each structure, this price will be spread over different area, thus creating a very different Price Per Square Foot. So, I agree with you, Price Per Square Foot is Misleading for Real Estate Values. Bill, It comes down to what a house is worth is what other homes in the neighborhood are selling for. An economy neighborhood’s square footage will be way away from a custom neighborhoods square footage. Bill – So many people want to use this as a way to value homes, and it just doesn’t work usually for the reasons you point out above. Great points Bill, and I agree with Marchel about the better way to evaluate. Alex – I like your method of calculating value. It makes perfect sense! The only problem with the entire argument is that square feet of space cannot be changed through time like the rest of the features you mentioned. In fact, one could argue that square feet of earth covered space is the MOST accurate measure of the value of land. So if there is 2 story structure, then who cares (unless if permits have been restricted stopping anyone else from building upward). So why do I state this claim? Well, if a home is located near a desirable natural or political geographic location (such as an ocean, a mountain range, a country border, a state park, etc.) that will drive the long term price much more than these other “things” that will naturally depreciate and thus lose value through time. A square foot of land however (unless if there is a major change in the geographic or political structure) is the best as it doesn’t degrade in value through use. Sorry…the rest is sales fluff, which one could argue is partly the reason for the recently experienced short term inflated home prices. Marshall I am not quite sure I understand what you are saying. The article talks about the price per square foot of a home and how it is misleading to use this calculation for determining a Real Estate value. The article has nothing to do with the square footage of the land although that could be one measure of value. Your comment about location actually makes the case for my article. For example a 2000 square foot home with ocean frontage is certainly going to see for more than the same home 5 miles away from the ocean. The price per square foot would be a lot more based on the location would it not? Most people do not think about all the elements that go into building a home and the impact on cost and value that they may have. Bill, great article and this is exactly my point in my small town. The sole value calculation in my area is based only on per square footage. There is no consideration on the four distictive categories that you so have broken down. One example I have is one of my listings which is an ENERGY STAR Qualified home incorporates green materials and other high end features along with the price paid for the land is being compared with a standard spec home and obviously you can tell which home will have the greatest value without even going into details on the other high end features but is being valued by other local agents as overpriced per square footage. I still do not understand that concept but here I am battling this one alone. Once again, thank you for putting it in layman’s terms for all of us that understand that there is more than just a per square footage price. Marlene I am sure it is an uphill battle because if many Realtors can’t understand the concept of price per square foot how could you expect a consumer to understand it! There is no question that energy star homes are going to cost more to build and of course the quality is generally higher. Of course there are some buyer’s who can appreciate a well built home and others that don’t see any difference when they walk in from one home to another. You will never sell to those folks because square footage is all they care about. Sorry but you are dead wrong. Relative per square foot prices is an essential metric for comparing different properties. It is a definitive and objective measure of difference. It would be impossible to responsibly compare the value of two properties without without it. It cannot stand alone and must be considered with all the other information you have provided here, standard of finish, location, condition layout and type of rooms and lot value to arrive at an estimate but pretending that it is misleading is itself a misleading statement. Paul I don’t think you read the article all that carefully. If you look again you will see that you can not take a price per square foot for a home in a given town and use that as a direct comparison against another home in that town because of all the things mentioned. Price per square foot may be a good measuring stick for condo’s that are substantially similar and don’t have large differences in upgrades. Beyond this type of comparison it is not useful for much else unless you are really comparing apples to apples. Seeking Advice Here: I am in the market for a home in the Northern VA area. We recently made a low offer on a $565K house w/1758 sq ft. The price per square foot is about $321. While I understand the argument that you cannot only look at price per square foot, it is a helpful metric to use to see how a potential home stacks up against other homes in the same neighborhood. Anyhow, the seller rejected my offer with no counter. He was clearly offended by our low offer, but I don’t think he’s priced right at all. The average PPSF in the same neighborhood is about $250 and the next highest after his is $280/sq ft. I offered $290/sq ft. There aren’t many amenities that would make the house worth THAT much more than others in the neighborhood (old appliances, old kitchen, old bathrooms, etc.). The owner doesn’t have to move until December so my guess is that he has time to hold out and will not consider offers less than his asking price until he gets desperate. Anyone have any thoughts on this situation? Jason it is hard for me to know for sure but it sounds to me like the seller has unrealistic expectations based on what you have described. I had this argument once with a county assessor. There’s no way you can value a custom home with luxury appointments at the same price per square foot as a shell with plywood floors and linoleum counter tops. But that’s how they do it here! Bill, great article. I’m a Relocation Counselor and always have my transferee’s trying to use the whole “price per sq foot” argument when debating their appraisal results. I’ve always felt it’s not a good indicator as it’s way to broad a view, but I’ve never heard it articulated so well. I’ll be keeping this article at my desk and referring back to it from time to time.. Good job!! Thanks Doug I appreciate the compliments on my price per square foot article. Most people automatically assume that this a a good way to figure out home values which of course it is NOT! Bill Gassett, above, is correct. If you use recent sales by neighborhood, then zone, and using the same style of home, you are off to a very reliable per sq. ft. analysis of value. You correctly give the way to rectify values by the age and quality of the homes used. So, give a total of five or six rankings, and, voila, you have a way to adjust upwards or downwards by its rank. Five rankings, with new construction being 1, or the best, and a tear down being 5, gives you a rough adjustment capability of 20% up or down. So, if I am trying to estimate the value of new construction in a one acre zone in a neighborhood that has only had homes over 5 years old sold as my comps, I will take the average of those heated, livable sq. ft. numbers and mark them up by 20%. You will find that this will give you a very good number, providing we are, indeed, comparing heated livable sq. ft. and not gross improved area, which includes garages, porches, decks, mechanical rooms, etc. As for finished basements, you can either throw the improved area, under air, as they say in the south, in its entirety or take 50% of it and add it on. Mark ups of 5% are usually good for aspects, such as location, pools, tennis courts, amenities, quality of neighborhood relative to others in the particular zone, etc. However, you will find that these balance out in many cases, making the rougher estimate very reliable. I disagree with the general conclusion of this article. It seems like everyone is focused on cost to build. $/SF is not the only metric, and a pre-fab low end home vs a higher end custom home is not a reasonable comparison. But, $/SF is a often extremely valuable metric when comparing similar homes in the same area. It is not a measure of cost to build. It is a measure of what the market will bear. All those high end amenities translate to higher cost to build or replacement cost, but not necessarily $ for $ market value. There is plenty of data about ROI for remodels that show this. The higher you go above your relative market in cost to build, there are less potential buyers and return. If your cost to build was double the $/SF for similar houses in the region you will likely take a haircut when you sell. Nice amenities may appeal to more buyers, but ultimately market value is only what someone will pay for it. $/SF for reasonably comparable homes is a tool that should be used when making purchasing , building or remodeling decisions. It won’t do the fine tuning, but if there are enough comparable homes, it will get you into the ballpark. Justin the topic of dollars per square foot when calculating Real Estate value doesn’t necessarily have anything to do with cost to build. Nothing was mentioned about comparing prefab homes to a high end custom home either. The article really discusses how their are classifications of housing and within those classifications you can see a wide gamete of amenities. I completely disagree with your assertion that building quality and amenities amenities do not come into play when evaluating housing. What goes into a home can have a tremendous impact on value and ultimate sale price. Your argument makes more sense when you are talking about a neighborhood that has homes built with the same builder who used relatively similar building specifications for all the homes. Your argument does not hold water when comparing custom homes to homes that are stripped. As an example there are plenty of homes built in neighborhoods where the homes are identical in size but don’t sell for anywhere near the same price. 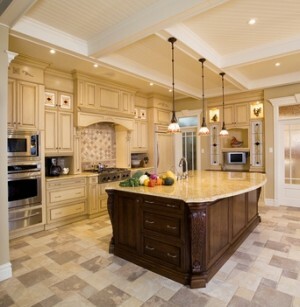 Some builders load their homes with custom features with the highest quality possible. Other tailor their homes based on affordability. Price per square foot does not account for land costs or location among other variables as well. I am sure their are some neighborhoods where you live that command a premium event though they could be the same size home as a lesser desired area? When looking at square footage numbers our MLS just started to break out above grade vs below grade. This has helped greatly. I have to throw a vote to $/sq ft being a good qualifier of comparable homes. So in a similar area and similar size and age, I could tell by the $/sq ft how much work was going to be needed to move in. A year ago a place with defective dry wall or in need of flooring/appliances/AC/water system and then some went for less than $30/sq ft. Similar size homes with used but working equipment and carpet in need of cleaning could go for 40-50/sq ft. If the $/sq ft was much above that, it was in good shape. One search I did showed a minimum number of properties over $70. Now, today, a year later … prices are up 17% and inventory is way down. There ARE NO PROPERTIES under almost $40 and there are dozens OVER $70. Fixer uppers are generally gone. People (investors) have bought up the real dogs, fixed them up and are selling them for FULL value. Now homes with $/sq ft in the 40’s need work and more and more homes are entering the upper range. $/sq ft is fluid; it is very relative. So for almost each client, I search for the property they want and generate a list. I then search for those same properties which have SOLD in the last 3 – 6 month. Many times the least expensive homes that are available are 20 – 40% HIGHER than the least expensive homes which have just sold. House + amount of work/equipment = full value. Full value + extras = higher price. Bob without even knowing a thing about where you are or your market, I can tell just by your comment you are talking about homes that are all relatively similar in terms of construction and building classification. Everything you are mentioning speaks of condition which of course is one measure of value. Great article…along with the comments that followed. How would you determine value for this situation: Home A recently sold for $465,000, and is 2,580 sq feet. Home B is 1,940 sq feet. Both homes are in the same neighborhood, are the same age, have the same amount amount of Bedrooms/baths along with being in similar condition. Basically, home B is a smaller version of home A. EVERYTHING else is the same. There hasn’t been any other sales within the neighborhood within the last 24 months, never mind 6 months. Thoughts?? Thanks Mark. I think the cost per square foot valuation would be helpful in this instance you have sited. The reason being you are talking about virtually the identical home in the same location. The only variable that is changing according to what you have described is the size. This makes cost per square foot a much more usable tool. 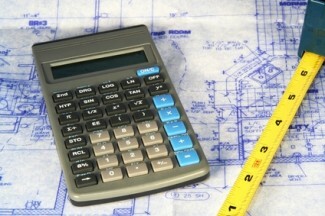 I think price per sq ft is the very first step to start your estimates on a home value for a given subdivision and then you can add some little value on the additional upgrades, pool or extra large yards or custom features maybe 20-25% of the value a seller might have paid to be a fair compensation to a seller. I don’t know if I am right or wrong but honestly I think that a lot of businesses including the real estate business now also feels like being part of the hypocrisy business. You say and do one thing when you are a listing agent and you say and do another thing when you are a buyer’s agent. Nothing wrong in saving money for your clients and doing the best but you just cannot go over board and do something to hurt the other side so much that you just want to get the most and have no human feelings anymore when it comes to business. People are worried more about animals and pets than there own fellow human beings. We are living in amazing times, a material world of an enormous level that has no end to it.